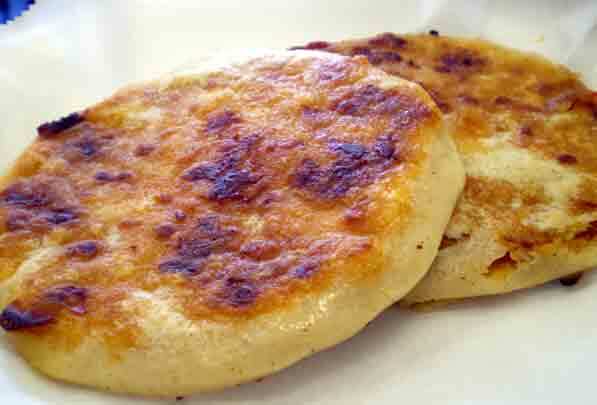 The Evanston lunch group will be having Salvadoran pupusas at Los Planes on Wednesday, April 16, at 12:30. 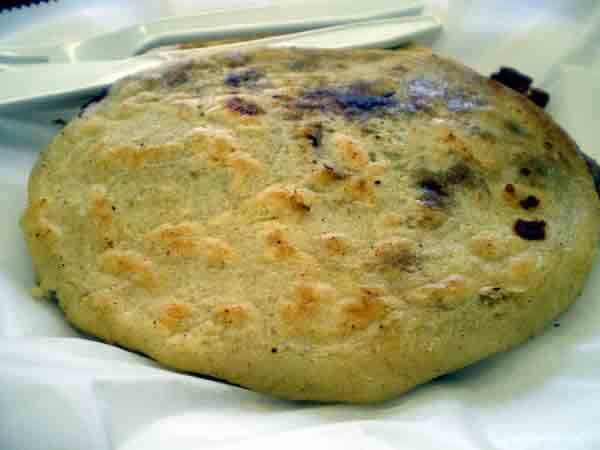 I just got the menu from the restaurant this afternoon, and it features pupusas with cheese; with chicharron; with cheese and chicharron (for the cholesterol conscious); with cheese and jalapenos (Mexican-style pupusas on the menu); with cheese and beans; or with loroco (translated on the menu as ... loroco.) 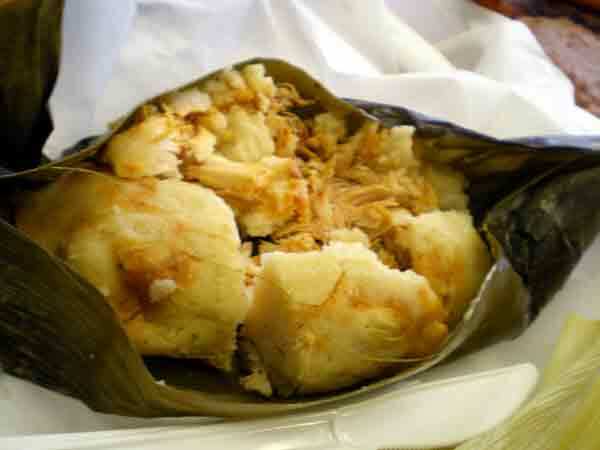 Aside from pupusas, they also have tamales with sweet corn (yes!) and with gallina (literally "hen"); yucca with chicarron; platanes fritos with beans and cream; pasteles de carne (meat filled pastries); and empanadas (doesn't say with what filling). There is also atole de elote ("corn based hot drink"), a thick and sweet drink which I like but Catherine can live without. Hey, you Evanston Lunch Groupers will really enjoy this place. Here's a post from my first visit. Pork skin for everybody!!! I'm in! I just peeked at stevez's photos in the thread referenced above, and I'm hungry already! I'm back in town; think I can make it. It looks like I'm not going to be able to make this, but if anything changes as it gets closer, I'll let you know. Looking forward to the next one. I will be out of town until that day, but I will try to make it. I really like the place. I can make it! Looking forward to seeing you all and getting my fill of cheese pupusas and curtido! This is today, right? See you there! Mhays wrote: This is today, right? See you there! I'm unable to join the Evanston group today, but if my recent lunch with Steve Z at Pupuseria Las Planes is any indication you are in for a treat. 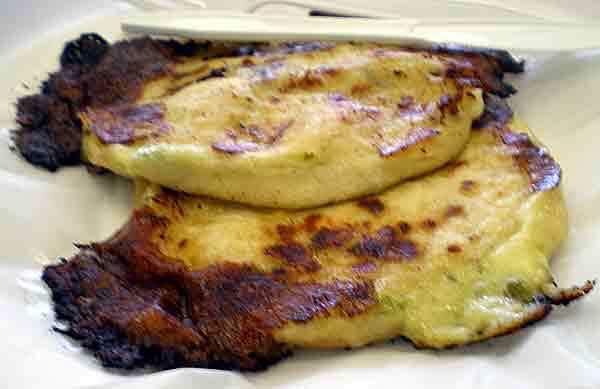 Don't miss Pupuseria Las Planes Mexicana Papusa and Yuca con Chicharrones. I am not coming for the most fabulously surprising reason: I am participating in exercise video filming. I am laughing myself silly at the thought myself. Although the conversation was hampered somewhat with our group of nine divided up among three tables, GWiv was right when he predicted we'd have a great time. And with a group that size, we were lucky enough to sample a wide variety of Los Planes' offerings. Thanks to Robert and Catherine (aka The French Couple) for arranging this, and especially for stopping in the night before and pre-ordering. 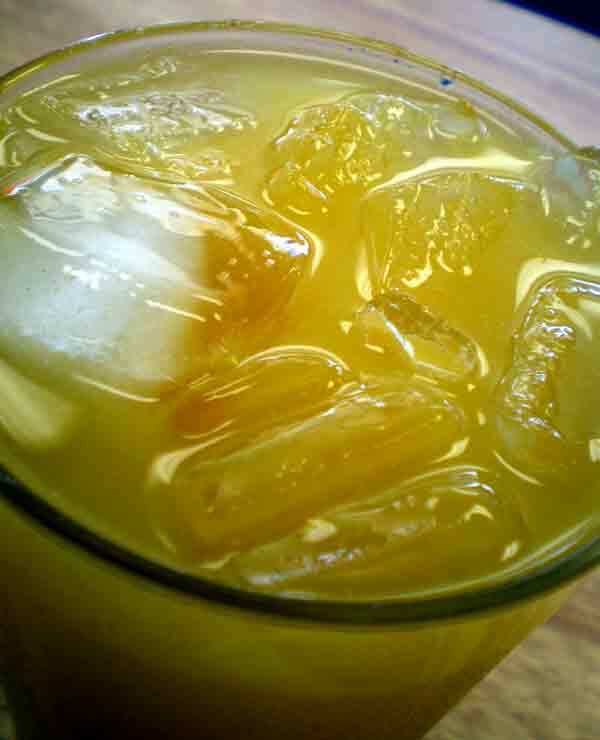 Many of us started out with Agua de Maracuyá - a passionfruit-based drink, not too sweet, very refreshing. 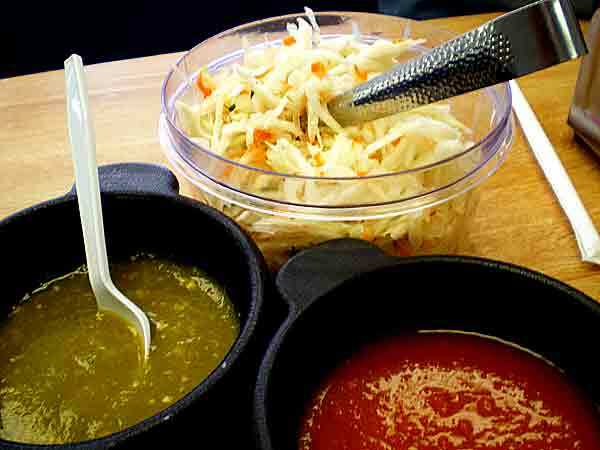 We were served two salsas, a nicely balanced rojo and a rather spicy verde. Also included was a big bowl of curtido - a marinated cabbage salad, somewhat like a vinegar-y cole slaw. 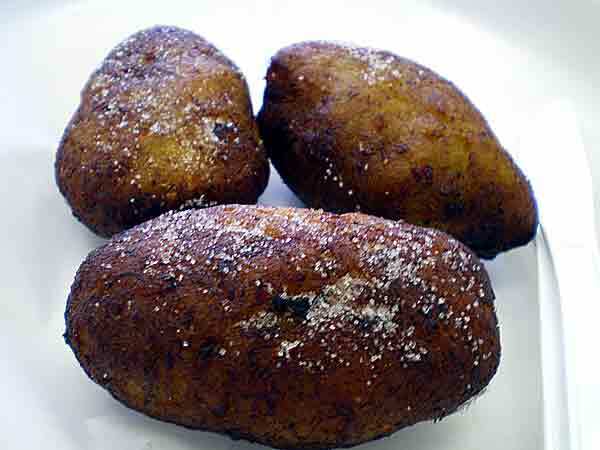 Next came the Pasteles de Carne - little meat-filled empanadas with tomatoes and more curtido. Then on to the tamales. 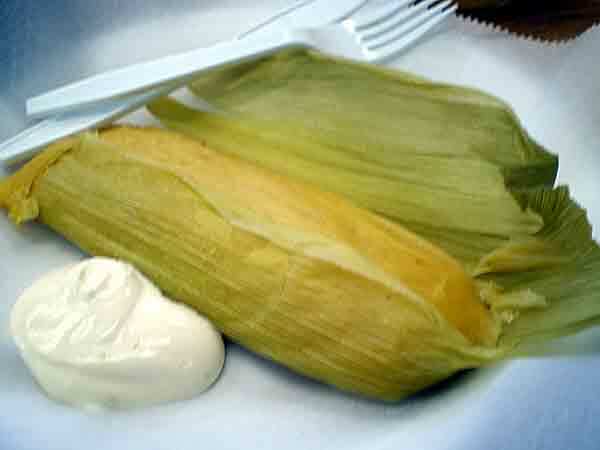 Tamal de Elote may have been a bit on the bland side, but the salsas helped considerably. 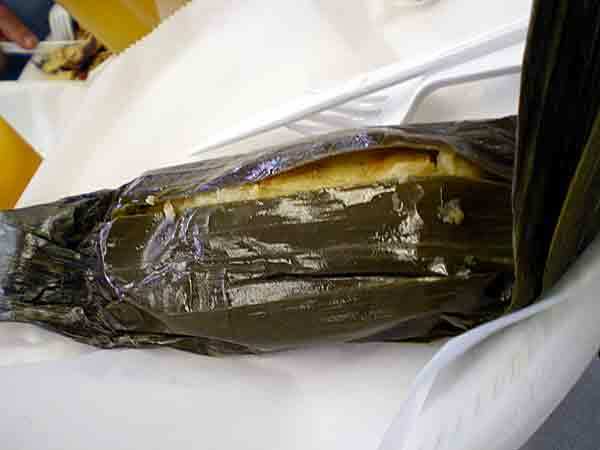 The other was Tamal de Gallina. Empanadas de Leche were a fairly unusual version of an empanada for me, but the filling - which reminded me vaguely of marscapone - was delicious. 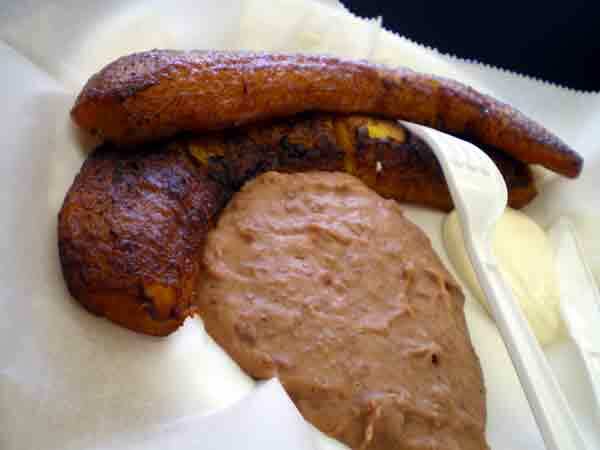 Plantanos came with a rather salty serving of refried beans and a little sour cream. 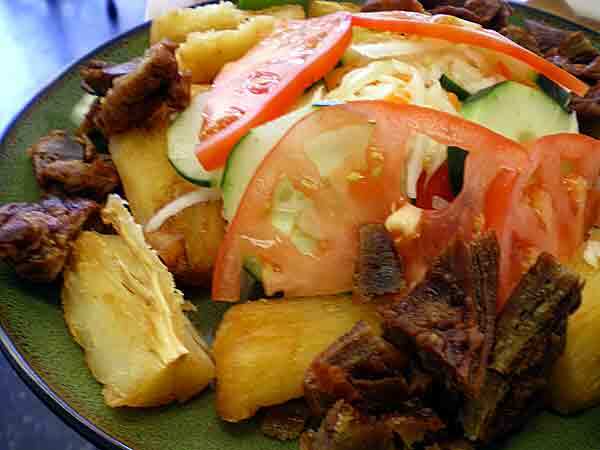 The other side dish was Yucca Frito con Chicharrones. Finally, the kitchen brought out Atol de Elote for everyone - sweet, cinnamon-y, a bit like a horchata but made with corn, and when we asked, we were told it also included "un pequeño leche." Being a smooth white drink in a white styrofoam cup, I didn't think a photo was necessary. Once again, thanks to Catherine and Robert for organizing. nr706 wrote: The lunch was masa-licious. Ha ha. That joke is so corny. Yes, thanks to Robert and Catherine for organizing and picking a great spot! ChgoMike: (about the Atole drink) "Liquid Nap"
We left that mission in MHays' responsible hands. 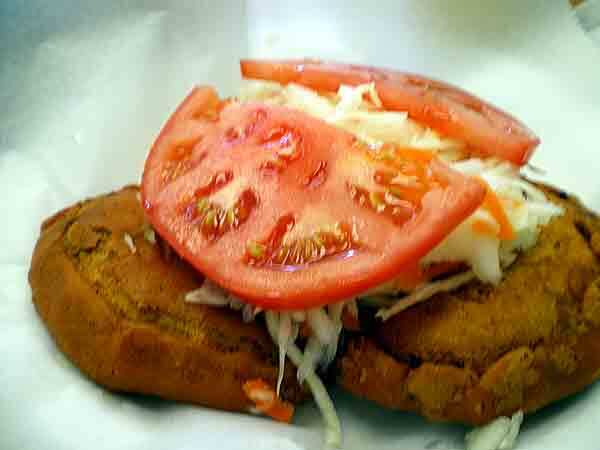 But you could organize an impromptu lunch there, as ChgoMike did at J K Sweets.